A Positive Future for Bristol’s Parks & Green Spaces. Bristol and Bath Parks Foundation is being launched soon – one of eight exciting projects across the country in the Rethinking Parks programme funded by National Lottery Community Fund, National Lottery Heritage Fund and Nesta. Email info@bristolparksforum.org.uk to sign up for updates. 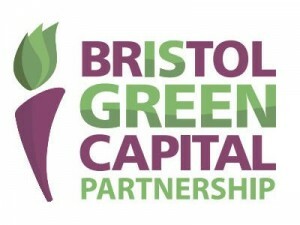 Bristol Parks Forum is as an umbrella organisation for community park groups and organisations in the city with an interest in their local parks and green spaces. The forum is currently the only ‘community voice’ that is dedicated to all of Bristol’s green spaces. We work with Bristol City Council to ensure our parks & green spaces are well looked after and to help local groups enhance their green spaces. • To influence decision making, including resources allocation, on a local and national level, affecting parks and green spaces in the city. • To act as a key consultation body on parks and green spaces in the city. • To offer an opportunity to share ideas and experience. The terms ‘Parks’ or ‘Parks & Green Spaces’ on this website (and in the Forum’s name) refer to all publicly accessible green space. This includes the city’s wonderful large estates, nature reserves and various informal areas of green space as well as traditional parks and play areas. Most (but not all) of these are owned and managed by Bristol City Council. Links to maps and other information can be seen here. Any community group with an interest in any type of green space in Bristol is welcome to join the Parks Forum. A list of current members can be seen here. Following a consultation that closed in January 2018 a paper on future funding parks was approved at the Cabinet meeting on 1st May 2018. The meeting papers also included the responses to the consultation. The consultation followed our presentation of a petition to the Full Council meeting on 14th November 2017. There were also over 60 public forum statements in support. We were pleased that Cllr Asher Craig responded to the debate by agreeing to drop the proposals to make parks ‘cost neutral’.